Euro Truck Simulator 2 on consoles? What’s happening with Euro Coach Simulator? How long will SCS support ETS 2? When will American Truck Simulator be released? CEO of SCS Software answered all of our questions. During Poznan Game Arena 2015 we had a chance to talk to Pavel Sebor, the CEO of SCS Software known for the series Euro Truck Simulator. We managed to get a lot of information concerning American Truck Simulator, development plans for Euro Truck Simulator 2, new vehicles and plans for the portal World of Trucks which will include multiple social features that are supposed to connect two flagships of SCS Software. Dariusz Matusiak (Gamepressure.com):In some countries Euro Truck Simulator 2 is way more popular than many AAA games with multimillion-dollar budgets. How can you explain this? Pavel Sebor (CEO SCS Software): Honestly, we are still not sure! Part of it is due to the fact that we have been working on the same genre for more than 10 years and the fan base has been building slowly over time. The other thing is that with Euro Truck 2 we exceeded some sort of quality threshold and the game has become accepted as a mainstream game – not a niche, low budget game, but a decent game by today’s standards. Another part of it is that I think we work reasonably with the community. We give its members plenty of information throughout our social channels, blog, Facebook, Twitter, and they interact back. I think we keep them around longer. There is this snowball effect: people are coming when they see their friends playing. More and more of them join over time, so somehow through this and, of course, because of the quality of the game itself, we have managed to keep them playing. Plus, the game can be played for hundreds and hundreds of hours in the case of the most fanatic players. And these players are visible to others who notice them: “I have a friend on Steam who’s been playing this game for one hundred hours – I need to check it out!”. 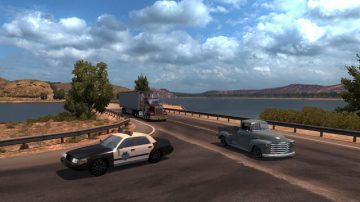 Do you still plan to support Euro Truck Simulator 2 after the release of American Truck, and if yes – for how long? I think at least 4 or 5 more years, because American Truck and Euro Truck are like siblings. They are coming from the same base, and if we switched our focus over to American Truck our European players would hate us for it. So we actually plan to put any feature that comes to one game within reasonable time frame to the other game as well. 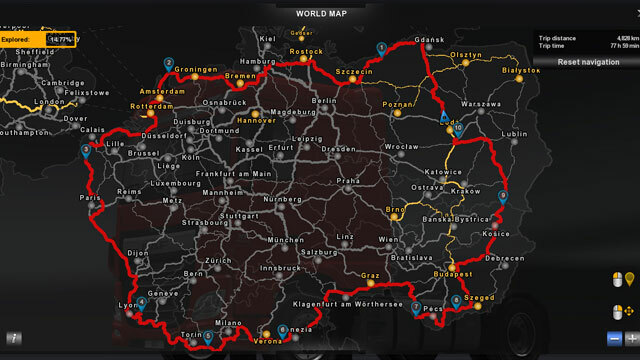 The goal is pretty much to share the user base between Euro Truck and American Truck (lots of people will be overlapping for many years to come) giving them more content, an extra layer of gameplay that is shared between those two games – that should be happening with our portal World of Trucks. It’s a website where you can connect your game and upload some screenshots; it is like a minimalistic social element of the experience, but over time there should be gameplay elements coming through this portal. Both games will plug into it and you will be able to have a shared, persistent existence within the world of Euro and American Truck together. 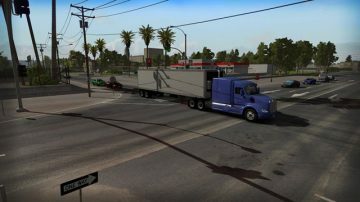 Other than the setting itself, what’s the most important feature of American Truck Simulator as compared to Euro Truck Simulator? We released Euro Truck 2 three years ago and if you compare that game to American Truck or even to Euro Truck 2 now there will be a lot of differences. 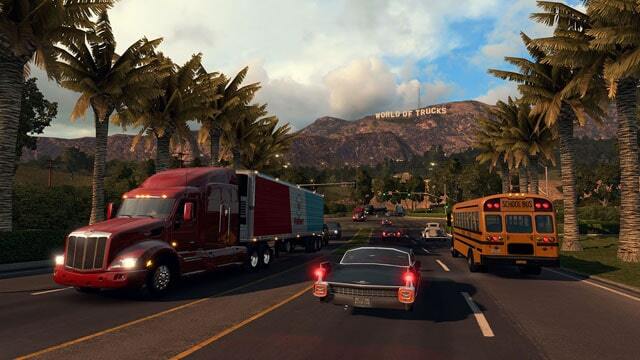 But if you compare the games now, they are not much different because we keep updating Euro Truck 2. Recently we’ve introduced the new navigation system. We could have been sitting on this feature and waited to introduce it in American Truck: “Hey, look! This is new!”, but we decided to release it with Euro Truck, because why keep thousands of people waiting if we can give it to them now. We may be making a naive mistake by not keeping new features under wraps, but we like to keep our player base happy all the time. There are some little things. 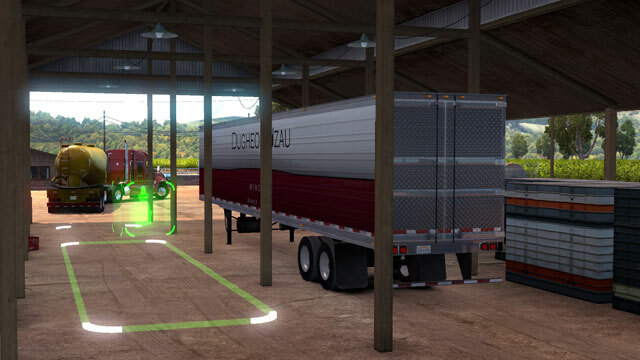 We’ve recently unveiled on the blog that there will be alternate parking spaces for the trailers at the destination terminals. 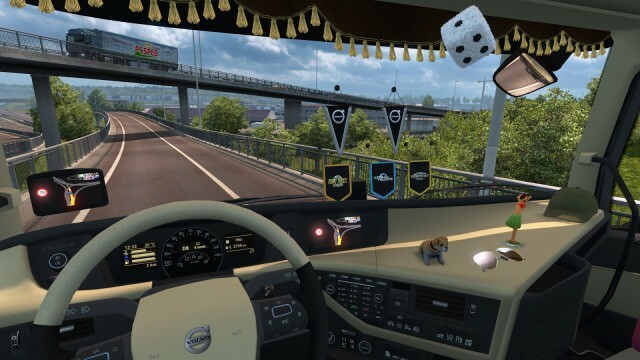 In ETS2, when you came to a company that you had been to before, you already knew where you were expected to deliver the cargo within the area of the company. It was always the same. In American Truck you come to the gate and they will tell you: “OK, we need it over there in the back or we need it here, but watch out, it is a very difficult place to park”. So it’s like a little mini game within the game, where maneuvering the trailer in the area is always a little different. Yes! For many people it’s an important part of the experience to show their skills, because when you drive on the highway you don’t need that much skill with the truck as when you navigate some complicated area. More experienced players will be able to use this to their excitement. For less advanced drivers the game will offer a backup place to put the trailer, much simpler to get into. We don’t shut gates for inexperienced drivers, we don’t require them to do some very difficult tasks. The game will actually have scalable difficulty and in some way it is richer than ETS2, offering a backup that wasn’t available in Euro Truck. It will be more friendly for the newcomers to the genre. 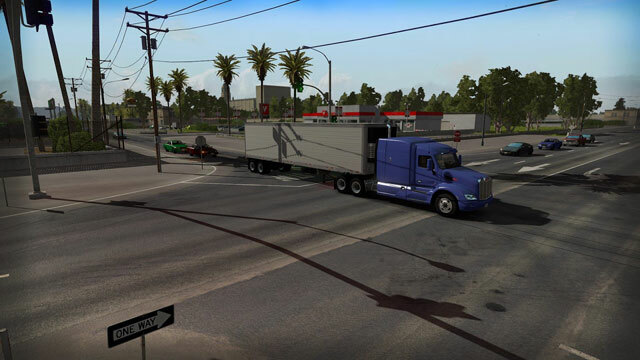 This is a feature that will first appear in American Truck, because the cargo depos and terminals are more sizeable, and there are more opportunities for us to show the feature, but if we see a positive response to it – which we hopefully will – this is the feature that will surely be coming to Euro Truck Simulator as well. I have noticed some police cars on the streets. Will they play some role in the traffic regulations or it is just a “decoration”? In the Euro Truck 2 universe you were given fines for violating traffic rules. It was as if some sort of god was watching from above but you didn’t know how you got the ticket. Sure, we had speeding cameras to give you a reason to believe that someone was watching you. So in American Truck there is a concept of police cars being parked strategically. Eventually, there is this idea where police cars are able to chase you. It won’t be in the initial release for sure, but there is a plan to expand traffic rules enforcement over time. The European game doesn’t have any police cars, and we will have to make cars for different countries, but at one point this feature will surely make it to both games. Will we see all the states in American Truck Simulator some day? Is it going to be something like the map of USA in The Crew game? That is the vision. We haven’t covered a large part of Europe yet either. There is still a lot of work left and it will be the same with American Truck. We could have started with a map that would cover the whole United States, use some 20 cities and be done with it, but we wouldn’t have a chance to include details, like smaller roads, interesting little towns. We had to find balance between the progress we can achieve and the level of details we can go to. Covering all of the continent at that scale is a massive undertaking, so we had to start from something. We decided to start from California, and we are already working on more neighboring states, so we hope to be releasing content a little bit more frequently than we do for European Truck, where a major DLC usually takes us a year or so. But we are not making any commitments or announcements. We are not even able to guarantee the release date of the core game. 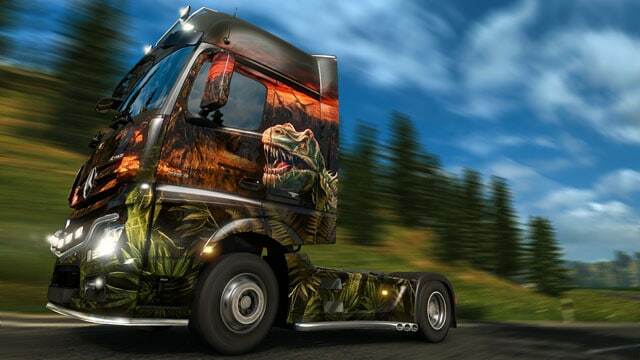 American trucks are famous for their amazing paint jobs. Will we be able to easily apply our own, custom paint schemes? So far we had released paint jobs ourselves for decorating trucks. The base game of American Truck will have quite a decent set right at the start; we’ve included quite a few very climatic paint jobs. People are always asking: “Can we do it on our own? When will modding be easier?” Of course, we have tons of very talented modders who create fabulous stuff that we see and even admire. However, there are also normal guys who are not very technically skilled and want to be able somehow to do stuff like paint jobs on their own. We are therefore looking into this, because we know that the core of our community is running mods. We have support for Steam Workshop coming into the game soon, hopefully. With this, we hope the quality bar and the acceptance of mods will become even better. At the moment, the mods are appearing on various isolated websites that are scattered all over, full of advertisements, and sometimes even strange stuff… People want to find the best mods and can be sometimes confused as to what is the trusted source and what to avoid. With Steam Workshop we hope that the community will find a centralized location for mods; it’s also motivation for us to support better tuning opportunities through our own stuff. If we figure it out, in a long term, we want to support easier ways to mod the game and to share the mods as compared to what we have now. How many truck brands are in the game? Are there also some fake brands like Ivedo from ETS2? So I want to be clean when I approach a company and be sure that their stuff is not in the game in any similar way. It is a process but we definitely hope to see more trucks. The story with Euro Truck 2 was that we launched the game with three brands and some fake ones, and within the next two weeks after the release our players kept bombarding the other truck manufactures through their Facebook pages or other social networks. Thousands of people were saying that these brands should also be in the game, so the truck manufactures themselves started approaching us about coming to the game. I hope this story will repeat itself and that once the manufactures realize that they are missing out, that they should be there, they will be more receptive. What about a proper multiplayer mode and driving in long convoys of trucks together with other players? There is a very successful mod for multiplayer. We know that a lot players would love to do convoys, share the experience with others. We are working on the problem and approaching it from a different side. The existing mod is really nice, but we think what we need to do first is what we call the persistent experience – how you drive and where you go should have an effect in a long term on your motivation to stay in the world and do something. What we are building now into the game is persistency, where you have your stats, you are able to be assigned to some jobs – it is a half way between the single player universe and multiplayer experience, and we plan to build our eventual multiplayer support on top of this persistent infrastructure. There will be a sort of online profile coming to our game and on top of it we will be building the multiplayer experience. Then again, it’s something that we will be working on over the next year but I can’t promise when any of this will be satisfactory enough for us to release it as a public feature. Are you considering DirectX 12 support? Will ATS support its libraries from the start? Right now we are putting DX 11 features to the game because we were stuck with DX9 for a long time. For many reasons we need to go to this step first. DX12 and the new Vulkan API that is replacing OpenGL are next on our horizon for sure. They are bringing some major things to the table. The trouble is that according to our analytics, we still have about a quarter of our player base actually stuck on computers where they can play with DX9 only, and for us it’s very difficult to support multiple alternate rendering systems, because the game is not just about the API and rendering graphics. It’s also about deep data structures in the game that need to be optimized, so the more APIs we support, the bigger support help it is for us to maintain the code base compatible with all of them. For sure, DX11 is our first little step towards better graphic features. It’s not like people will suddenly see all the shiny effects. It’s more about the smoothness of frame rate, support of some features that were difficult to do with DX9. It should be easier with DX11. The Farming Simulator series is expanding on the console market Do you intend to try something similar with your games? I think I have at least 2 or 3 e-mails every day from players asking me: “Can you do Xbox? Can you do PlayStation for us?” I would love to! We have been welcoming people from both major console manufactures visiting our office and they were saying that it was a good idea to look at this problem. But at the moment we are so stretched across multiple priorities that the consoles always come second. What we do now is graphics engine, rewriting DX11, some optimization, reorganization of the core structures – that should open the road for us to do a console version. We are using our own engine; Unreal or Unity are rather simple to switch over to consoles, but with our own engine we will have to develop a lot of new stuff… So it’s on the horizon. It’s not something that will probably come out within the next year but it’s within the mid-term to long-term plans. There is an idea to actually do that. 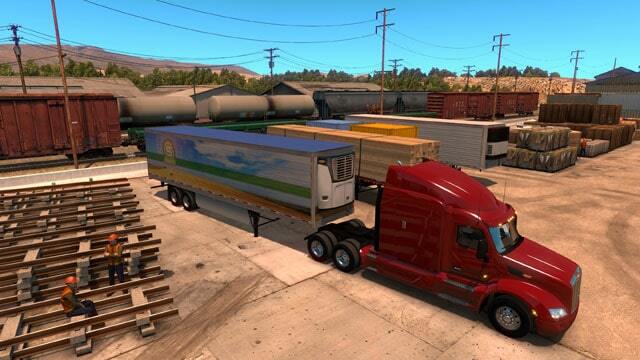 It’s a little bit colliding with our wish to make the World of Trucks channel that connects the games that are currently on PC, Linux and Mac, because on these platforms we can update the core game to become the clients for the massive multiplayer layer that we plan to put on top of it. Now we have control over when and how the update will appear, whereas with the major consoles the update has to go through a Q&A process. It may be clashing a bit with our priorities but we see big games like World of Tanks and others bringing the free-to-play model to consoles with frequent updates of the game, so this is something that we think is becoming possible for us over time. We definitely would like to appear on consoles still in the life time of the current generation, but I cannot promise anything in the next 12 months. We have so much on our table already and consoles are not our first priority. Does Euro Coach Simulator remain in development? We have actually built three coaches; they are pretty much ready right now. There was a problem that we were stuck with licenses and, like I said before, I don’t want to use unlicensed vehicles anymore. As we were shifting priorities, sometimes people were working on the models of the coaches but we had no programmer available. When we assigned a programmer for the job and we had a lot of code written for the support of coaches – we didn’t have any licenses… So Euro Truck or American Truck became the priority. Now the project is on the back burner, waiting for us to revisit it after we release American Truck, but the Euro Coach concept is definitely coming out. It is not going to be a separate game in the end. Over time, we went up and down about the scope and form of the release. Initially, it was planned to be a DLC for ETS2, then we thought: “OK, this is worth a whole game”. Finally, we realized that the game concept actually shares so many things with what we would also like to do with the trucks that it is better to do it under one, shared umbrella – so the coaches are going to be a DLC just like it was conceived initially three years ago when we started to talk about it. And finally, I can hope – though I can’t make any promises – that the coaches will finally appear in the universe of our games next year. We don’t want to be stuck just with trucks. We want to offer alternate experiences to our players. We think we are a unique company, we provide quite deep simulations that are rich and accessible at the same time. We see opportunities for more vehicles to appear in the game. 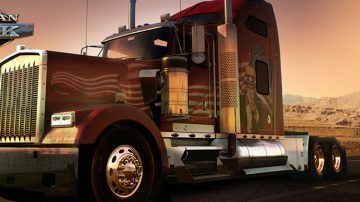 We would love to introduce the ability to drive a normal, passenger car because, apart from players who are truck fanatics, we have many players who come from the outside of this trucking phenomenon. They just like to drive and explore the world, so giving them alternate vehicles would absolutely make sense. We want to introduce over the next year or two even more types of vehicles to drive in the world, providing a sort of unified sandbox where you can do other things than just drive a truck. And the buses are the first example of that. So there will be more? Apart from numerous trucks we could do smaller transportation vehicles for goods. Two years ago we took very detailed pictures of recovery vehicles, big truck recovery, that make it possible to go to a damaged, broken down truck and pull it to the service area. Do you focus mostly on heavy vehicles? What about police cars or ambulances? Mostly heavy but I can even imagine doing ambulance jobs on the highway as a very nice break from the experience. There’s a lot on our wish list, the wish list transform into a plan, and some of the plan actually happens to be made in the end. I would love to see alternate vehicles in the game and not to be always limited to trucks, but even if we stay with trucks, there is a lot that can be made. Some things were even suggested by the manufactures, e.g. that we should make construction vehicles, like dumpers. It would be quite natural for us to have, let’s say, a building or a bridge to build, and the job would be to bring some materials to the site. We are also looking at the concept of having events or challenges of sort, but it is still between the wish list and the plans. We would really like to see our games to be growing feature-wise – growing a lot, not just deep into long-haul vehicles but also into many kinds of vehicles and what we can do with them. How much longer do we have to wait for American Truck Simulator? When will you reveal the release date? Plans are always made, but sometimes they shift. We thought we would be releasing American Truck last Christmas, then we said spring, then we said summer, then November, and now we just say: let’s finish it by the end of the year, so we can safely release it by February. Every distribution partner needs some time to advertise the game properly and arrange the shelf space to be available at the stores, so they need several weeks to do that as well as a guarantee ahead of time regarding the time of release. Preferably, the game should be pretty much finished 6 to 8 weeks before it hits the market. We don’t want to make a promise, because we are mostly concerned about the quality and wouldn’t want to release broken stuff. Instead of promising a release date we can just say what we hope for. We hope for early next year.